TORRANCE, Calif. (September 12, 2012) – Toyota Motor Sales, U.S.A., Inc. (TMS) announced today that the Toyota Tundra full-size pickup truck is slated to tow the space shuttle Endeavour during its final journey to the California Science Center on October 13, 2012, where it will go on permanent display. The Endeavour will travel a total of 12 miles from Los Angeles International Airport (LAX) on city streets to the Science Center, with the Tundra towing the last quarter mile. Tested extensively prior to the announcement, the 2012 Tundra is slated to safely tow the 300,000 pound historic artifact down Bill Robertson Lane in Exposition Park, near downtown Los Angeles, on the final leg of its journey. Endeavour will be towed using a stock 2012 Tundra CrewMax 1/2–ton pickup, identical to models currently found in Toyota dealerships, with no additional modifications made to increase towing capacity or generate more power. The Tundra CrewMax is equipped with Toyota’s powerful 5.7L V8 engine, producing a maximum tow capacity of 10,000 pounds. TMS has done extensive testing and worked with The Sarens Group, a heavy lifting and engineered transport company, to develop a dolly specifically for hauling the Endeavour. Participation in the transportation of the shuttle is part of an ongoing partnership between TMS and the Science Center in an effort to provide support and awareness of the space program and continuing education of the public through exhibits and programs. Toyota currently has a Tundra truck on display in a Science Center exhibit demonstrating the physics of leverage. The tow Tundra will replace the existing Tundra and will be on display after the Endeavour exhibit opens on October 30, 2012. 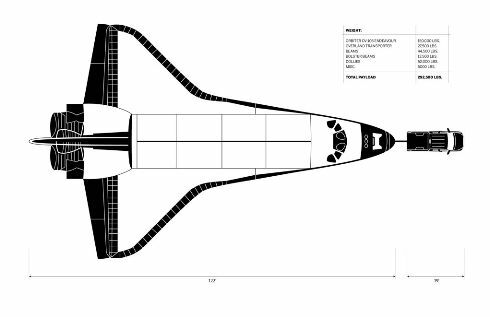 At the end of the Endeavour’s 12 mile journey from LAX to the Science Center, a “finish-line” celebration at Exposition Park is planned for the evening of October 13, as the shuttle arrives at the Science Center, allowing the public to witness the finale of this historic voyage. The tow program was developed in partnership with Saatchi & Saatchi LA (SSLA), the agency of record for TMS, and the Science Center, and serves as a unique way to demonstrate Tundra’s capabilities and towing capacity. In collaboration with SSLA and Science Center, TMS has developed a host of online resources and activities that provide behind-the-scenes videos, photos, activities for children and information about the Tundra Endeavour project and can be found at www.toyota.com/TundraEndeavour beginning September 17th. Visitors can share content, sign up for email alerts and participate in re-Tweeting information that will help contribute money to the California Science Center for further development of exhibits and displays.